Call it a Stateroom, call it a Cabin - a room on a cruise ship is just a room, right? Well, NO! How do you select the best one for you, then? Just as you can choose to sleep at a budget motel, or a suite in a five star luxury hotel, you have choices when choosing the best cabin on a ship. And the best choice for you might not be exactly perfect for someone else. Inside or Ocean View? Balcony or Promenade? Suite, Loft, or Garden Villa? Choosing your stateroom is a big part of planning a cruise. I'll show some of the different types of accommodations on today's mass market lines, starting with affordable inside cabins. Then, we'll move 'up' from there. Along the way, you'll find some tips for picking the best stateroom for your time at sea. What are my personal preferences? Well, that depends . . . Let's get on with it! In the days when great ocean liners made Atlantic crossings, "First Class" passengers enjoyed very different accommodations than the less fortunate in "Second Class," also sometimes referred to as "steerage." First Class was better attended to, and better fed in a luxuriously appointed dining room. 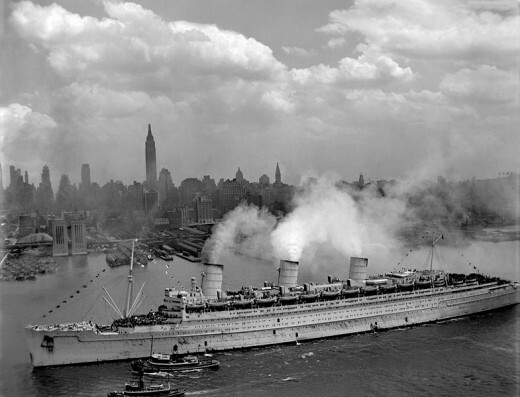 Today, only the Cunard Line sails true ocean liners , and maintains only a faint vestige of classes. There are (in descending order) Queen, Princess, and Britannia staterooms. Each does have its own dining room, but there's nothing remotely "steerage" about Cunard. Friends who are Cunarders report that 'even' Britannia passengers sail in well appointed cabins (some with balconies) and enjoy top drawer service and food throughout their voyage. 1 - The ship's stabilizers minimize pitching and rolling to SOME extent - not entirely. The higher the deck, the more you feel rolling (sidewards motion) while the effect of pitch (front to back rocking) is more pronounced when you're nearer the bow or stern. If you worry about sea-sickness, choose a midship cabin on a lower deck. 2 - Check the Deck Plans on the cruise line's site. Find out what is nearby the cabin you are considering. Example: What if the one you are considering is located right underneath the Disco Bar? That might be a poor choice if you like to turn in early. 3 - If you have mobility issues, book early to assure availability of one of the limited number of special handicapped accessible staterooms. This is a nice looking set, and I have heard good things about it. Black, Red, Royal Blue, and Gray. I should replace our luggage set before we take many more trips. On our last cruise, the couple next door to us had a set like this one, except theirs was in red. After getting aquainted, I asked them how they liked it, and they went on about how satisfied they were with their New Yorker Luggage Set from US Traveler, and what a good buy it was. It turns out that this was actually the first time they had used the entire set. (The husband had taken the small case on a recent overnight business trip.) So, they couldn't really speak to the issue of durability, but from what I could see, it looked pretty sturdy. So, I thought I would pass this along in case anyone else is in need of new luggage. 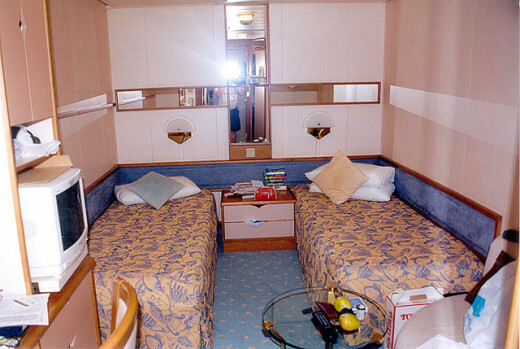 Inside cabins are just that - completely INSIDE the ship, with no outside exposure. They are also the smallest and most affordable rooms on a cruise ship. Did I say small? Oh, yes. 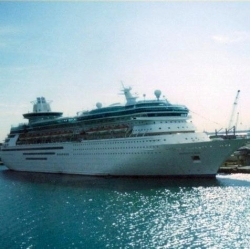 For example, on one of the older and smaller Royal Caribbean vessels, you'll have about 115-122 sq. ft, while on a newer, larger ship in the Princess feet, you get a whopping 160 sq. ft. - and that includes the bathroom! Have I / Would I sail in an Inside cabin? I would IF it meant the difference between cruising and not cruising, and IF the duration of the voyage were 4 nights or less. 1 - There is NO outside light coming into these staterooms, so switch off the lights, and it's pitch back. Bring along a travel alarm clock with a lit dial. Otherwise you'll have no earthly idea when morning has arrived! 2 - Space is at a premium. Hang up evrything you can right away and stow empty suitcases under the bed. Make up for the lack of countertop, shelf, and drawer space with an over-the-door shoe bag. It's the perfect solution! Use its pockets to safely 'stow' your camera, card key, sun lotion, and other gear where you can quickly and easily retrieve them. 3 - If you like to swim, bring AT LEAST two swim suits. Wet suits take forever to dry when hung in the bathroom of one of these cabins. There's nothing more miserable than having to put on a still-wet suit! Pack a couple of large zip-lock bags for packing still damp things in when going home time arrives, too. A handy item for cruising - especially if you're in an inside stateroom! - No matter how small you imagine your accommodations will be, think smaller. Think less storage space. - There is no ambient light at night once you are at sea. None. Take some small surce of light. A backlit travel clock may be enough for some. Others may prefer a small flashlight. Some people take an over the door shoe bag for organizing their smaller items without using valuable dresser space. A hanging cosmetic bag comes in quite handy, too. Ocean View cabins are a nice middle ground between inside ones and the more expensive ones with their own private balconies. Note that not all of these choices apply to every ship of every line. Just how much square footage you get varies from line to line and even from ship to ship within the same brand. But even the smaller ocean views are generally a bit larger than inside cabins - just a little bit! The Superior is larger than the regular ocean view. (Different lines may have different names for these.) The Family Ocean View cabins are the largest, often with a partitioned off sleeping area for the children. Some may utilize sofa-beds, wall fold-downs or bunks for the extra beds. Remember- efficient utilization of space is everything on a ship! The question I hear most often about is "How obstructed is the view on an obstructed ocean view cabin?" The answer is that it can vary. In the above picture, which is fairly typical, you can see that, from this particular obstructed view stateroom, on deck 8 of one of Royal Caribbean's Sovereign class ships that we sailed in, the water is still visible. You also get a nice, close view of part of a lifeboat! ... and a Tip or Two. Q -Have I / Would I sail in a 'room' with an Ocean View? A - I have, and would.. . although, I would prefer a balcony, but I can't always have what I want. Q - What about an obstructed view cabin? A - This is actually what we usually book for a 3 or 4 nighter to The Bahamas. It's somewhere we've been more than a few times, and we can go more often if we don't pay a bundle for each time! Q- And the larger, Superior Ocean View Cabins? A - Yes, and yes. I like them, but don't always want to spend the extra that they cost. 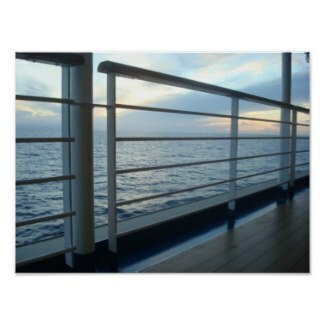 In my opinion, the view from a ship's railing is one of the best views in the whole world! 1- Save money- go obstructed! If you are willing to forego a panoramic view, you could end up saving quite a few bucks by sacrificing a some of that view. 2 - Try to get one with a window, rather than a porthole. You get a bit more of a view that way. 3 - Look for an obstructed view cabin fairly near a stairwell. You may be just one deck above the Promenade Deck. This is ideal. That way, if you spy something you'd like a better look at, it will be just a quick jaunt down a flight of stairs and out a nearby door to get to the ship's railing where you can enjoy a really unobstructed view. Take a long, deep breath of the healthy sea air while you're there - Ahhhhhhh! 4 - As an alternative to a Family Ocean View, try finding a pair of adjacent obstructed views cabins with a connecting door. (Once again, do your homework by checking the deck plans on the company's website.) ADVANTAGE: You may save some money, AND you get TWO bathrooms! So far, we've mentioned Cunard, talked about inside cabins, and several types of ocean view cabins. Of the types of staterooms presented so far, which sounds good to you? I'm a Cunarder. Nuff said. Doesn't matter- just get me on the ship, and I'm happy! I'll go with Inside. I'll save the big bucks for adventure, jewelry, the spa, casio, and booze. Obstructed Ocean View sounds good to me. Superior Ocean View... gotta have that extra space. Family First! One of those Family Ocean View Staterooms is what I need. None of the above- I'm waiting to see what you say about the luxury accomodations. Here's a narrated video tour of a balcony stateroom on the Carnival Legend. It gives you a good look at what one of these staterooms provides, including, of course, the balcony. Décor and design will vary from line to line,and ship to ship, but this will give you a real good general idea of what you can expect. If you are going to to any entertaining at sea, you'll probably want to book at least a balcony stateroom. Yes- you read that right! I actually hostsed a wine and cheese party on my extended balcony once. And, I've attended invitation only parties in Grand and Presidential Suites. But, what if you just want to sail in a really nice stateroom? Yes, now I'm calling them stateroom as opposed to cabins. Nothing more than semantics! There is a very special feeling that you get from relaxing on your own private balcony, foo foo drink in one hand, and good book in the other. Oh, yeah. On most lines, you can even arrange ahead of time to have an extra special romantic breakfast or dinner served on your balcony... for a price, of course! So, if you want that extra touch and feel of luxury, go for it, and book a balcony stateroom. Once again, there are variations within this catetory of staterooms, and some people have some pretty strong preferences. For example, on some (not all) Royal Caribbean ships, there is a bulge along about mid ship that is often referred to as "the hump." Some swear the view is susperior from these balconies. My personal preference is for one on the stern, like those you see pictured on the coaster at right. However, my brother and sister in law feel the ride in the aft cabins is now as quiet or smooth as it is in the ones at midship. There is a real range in sizes, and, of course, a corresponding range in pricing. Journaling at sea can be an enjoyable activity. Think about taking one. Read up on cruising before you go, so you'll know what to expect. Plan on what you will use to keep up with your all important sea card, on board and off - even when your'e in the water. If you lose that sea card, you're up that creek we've all heard so much about. Have I / Would I book a Balcony (or Veranda) Cabin? Oh yes! And sometimes no. Obviously, I have booked a balcony cabin. That picture of that you just saw was of the one we enjoyed on one of our cruises, though I dodn't remember just which one that was right off hand. I love having a balcony on voyages that are long enough to enjoy the extra private space and view - anything of 5 to 6 days or more. 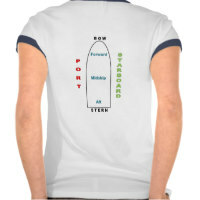 And, I especially like them if the itinerary includes even one new port for me. I LOVE watching the new port come into view from my balcony... and bidding goodbye from there, too. 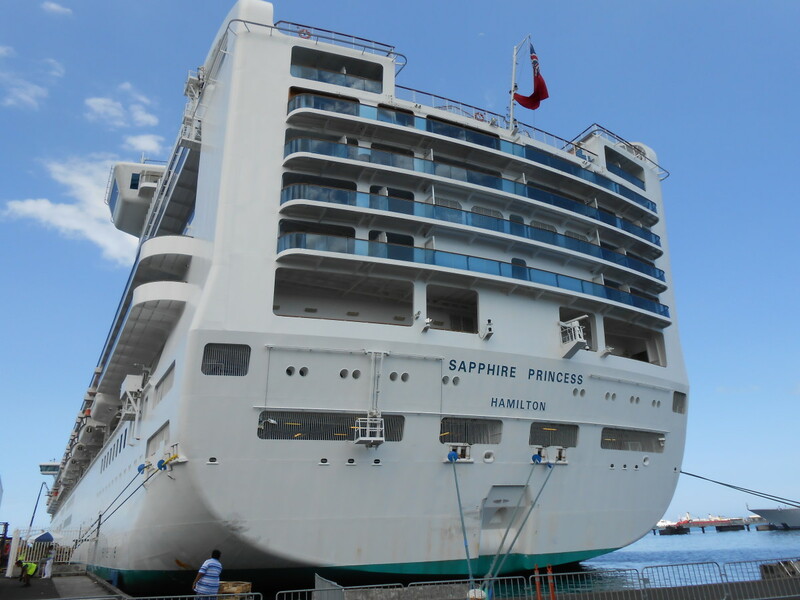 Since I am not sure I would book a suite, even if money were no object, for me absolute prime real estate on just about any ship is an Aft Corner Balcony. These are often are bigger than the non-corner ones, and the view is fabulous. Second best would be any of the aft balconies. I'm a wake watcher. That churning water is just mesmerizing, and especially so in the Caribbean, where the color is simply unmatched. We normally do NOT book balcony accommodations for cruises lasting less than 5 nights. I just feel I want to save my 'luxury dollars' for when I really have time to enjoy what they are purchasing. Some people find that the soothing atmosphere on their stateroom balcony puts them in the mood to read or write. If you are someone who enjoys writing using an actual pen and paper, then you'll probably want to take along a notebook or journal. 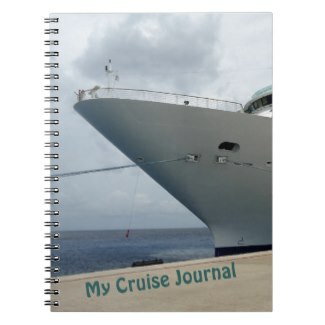 This spiral notebook has a cover with the words "My Cruise Journal" imprinted on it. HOWEVER, you can change those words to something you prefer, like your name for example. 1- Balconies provide a great place to let your wet swim suits dry - when you are in port. Just don't forget to take them inside before the ship sails, or you might lose them! 2 - A tip about tips. Be generous with your stateroom attendants, wait staff, and others who work so hard to make your days on board pleasant. The bulk of their pay comes from YOU, not the cruise line. I like to think of the line's published tipping guidelines as a 'starting point.' You take it from there. 3 - Most balcony doors can be locked into place when open, so that they don't bang shut again with each roll of the ship. Just investigate your door closure a little, and you'll probably find the secret, which varies from ship to ship. Here's where divergence really begins to happen. Different lines have different names for their different types of suites, and how they are appointed. Most have separate living room and bedroom areas, wet bars, large flat-screen TVs, stereo systems, and jacuzzi tubs. At the very least. Some have grand pianos. Others have wrap-around balconies with private hot tubs. 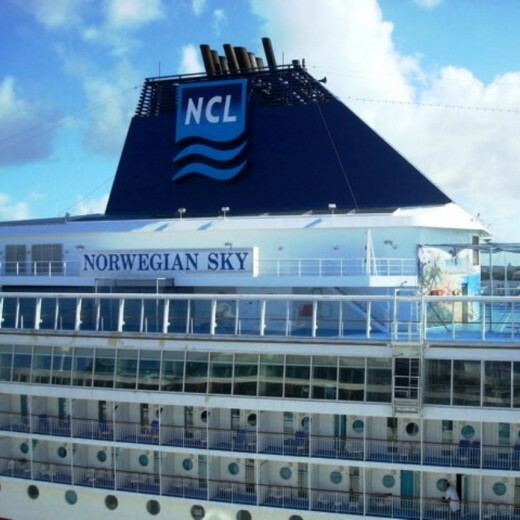 - Norwegian Cruise Line has the Courtyard - a group of private suites with their own private pool deck, butler service, and more. - On their new Oasis class ships, Royal Caribbean has introduced two level Loft Suites, with guest bathrooms, indoor and outdoor dining areas, and an upper level for sleeping quarters. There's more... but you get the idea. Pick a line, and look for their top category of staterooms. You're sure to find some amazing things, along with an equallly amazing price tag in some cases. Curious about prices? 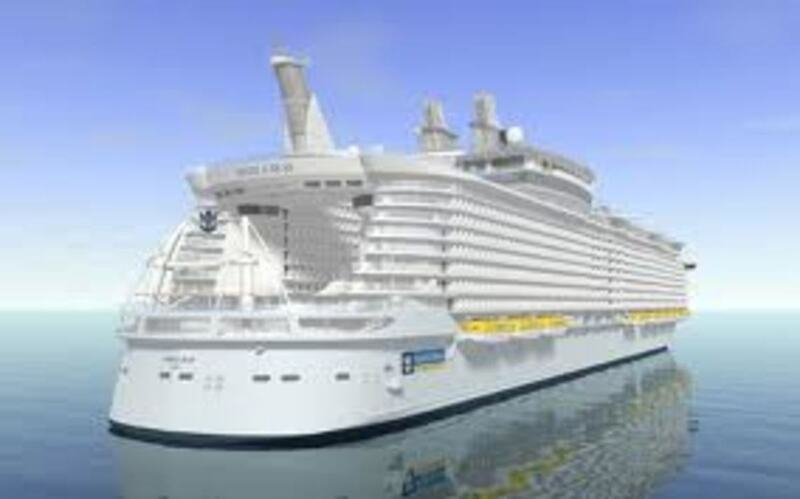 I just ran a price check on a 'low season' week long cruise for 2 in a loft suite on Oasis of the Seas - $10,680. That's perhaps 10 times what you might expect to pay for economy digs. Photo of a sunset at sea, taken from our balcony on one of our recent cruises. A Hearty Bon Voyage to You! There are a few other special types of cabins to choose from, including Boardwalk and Promenade View Cabins on some Royal Caribbean ships, and quarters for solo travelers on the Norwegian Epic, but you'll discover them when you begin researching your vacation at sea. Whatever type of cabin you choose, remember that the cruise isn't all just about what your sleeping quarters look like... it's about the places you go, the people you'll meet, the experiences you'll have. So, choose your cabin wisely, but most of all, just choose one, and enjoy your time on the deep blue ocean! Now that you've had a chance to read a little about Balony staterooms and Suites, let's take another vote. Maybe you were holding off, or maybe you've changed your mind. NOW which one have you decided you might sail in? I think maybe I'll try an inside or ocean view after all. I MUST have a balcony- they sound wonderful. Saving my pennies for one of those fancy Suites. I'll be investigating one of those other ones you mentioned briefly. I'm stil undecided, or just not the cruising type. 2) Veteran Cruisers. If you check some of the popular internet cruise forums, you'll meet quite a few of them. And, you may even bump into someone who has stayed in the exact cabin you are considering. 3) Friends and Family. People you know who are already been there and done that will gladly answer your questions. Though, do keep in mind that if they've only ever sailed on one line, they may not have the straight scoop on others. Was This Page Helpful? - Did You Learn Something about Accommodations on Ships? Wallace Hartley, and the other seven members of the Titanic Band went down with the ship ... and played to the end. What WAS the last song played? That is actually a bit of a mytstery, but it was probably one of three tunes . . . Please leave a note. Just say hello if you wish. Or, leave a comment about the material I've presented here. This lens ignited my dream of going on a cruise... I'll accomplish my dream this 2014.... Thanks to this really great lens :) Love it!!!! I am so ready to go on a cruise!! I am thinking about another cruise within the next few years. This time I would love to have a balcony. I think that's a great idea you put out about a room with obstructed view connected to one with a good view. Now that's smart travel! Last year we vacationed on Cruise .It was a great trip .Thanks for sharing this lens. Great lens. I work in a travel agency and you offer some valuable information. Great information. The only ship I have "cruised" was the old class ships that used to go around the Hawaiian islands. Even though they were no longer "class: ships, it was very awkward trying to get around. I am looking forward to trying a Disney Cruise. I would like to take a cruise to Alaska. That's my next agenda. Great lens. I love cruising. Not into cruising as much as land-based vacations but appreciate the information! We are recently back from our first ever cruise and we picked a balcony stateroom on the Oasis of the Seas. Yes it cost a little more than the inside rooms but we didn't want an inner balcony (looking over the noisy park area with no privacy either) or no balcony. We ended up using the balcony plenty and were lucky there were no smokers next door (that would've ruined it for me!) For future cruises we would have a balcony too. Oh and anyone reading this who is considering Oasis of the Seas, we did the Western Caribbean trip and it was outstanding. The boat is massive and you won't be bored. It's 5 star all the way. Fantastic trip! Get a sea view balcony if you are able. It's lovely for reading a book in the evening while enjoying a glass of wine and watching the sun go down. great information! i love cruising also, so it will be put to good use. My parents are going on their first cruise next year. I'll be sure to pass on your tips. I've been on about 10 ten cruises. I loooooved the ships and my rooms. Thanks for the lens! nice information on cabin selection and nice lens. Need to set my sails in order soon... Nice info! Our next cruise is lined up and we are going for the stateroom with a jacuzzi and balcony. Can't wait! A very very descriptive lens. I am amazed by the way you had expressed. I always dream to be in sea and wish to cruise at least once in lifetime. I never knew there were so many choices! Thanks! I'm not a good traveller, so I've always been wary of crusies. My foks are definitely converts though. Unfortunately, I get seasick easily and have always been afraid to go on a cruise because of it. If I ever get up the courage, I will remember your advice about getting a midship cabin on a lower deck. Great lens! These are really eally great tips for someone who's never been on a cruise. I've only been on one cruise and we were spoiled with a beautiful balcony stateroom because we bought at the last minute and got half off. I'd love to do it again! I am of the inside cabin to save money and "who spends their time in a cabin on a cruise?" crowd. 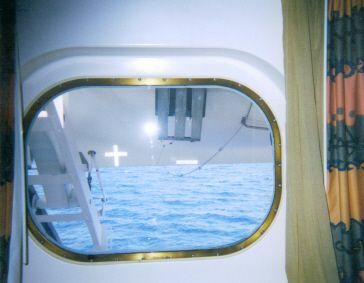 Have had "window" or port windows cabins and barely can see out of them as they were dirty and fairly small. Not worth the extra dollars. However, I must say I have never had a balcony cabin and would like to try that someday. One thing I do like about the inside cabins is the utter darkness when the lights are off. Makes sleeping anytime, day or night, great. @Rankography: I sure hope you will. There is real value for the money in a cruise. Learned too many things about ship. Thanks for the beautiful lens. Outstanding info CruiseReady. I was not planning to go on a cruise but may consider it now. Inspiring lens, thanks for great lens. @anonymous: Bon Voyage to the two of you! 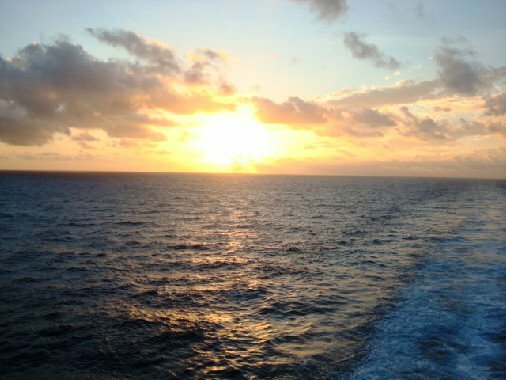 Really great advice and tips to think about when you make your decision to cruise. Such great advice. Thanks! Going on a cruise next month. I really found your information on how to choose cabins on a cruise helpful. I have no experience in this and wouldn't know how to begin. Thanks. @Christene-S: No, we haven't cruised Disney, but the kids have. You will have a wonderful time! I'm going on my first cruise ever next year. I can't wait! Have you ever been on a Disney Cruise? I'll be on the Disney Dream. @gypsykitschpres: Thank you so very much! Picking the Best Cabin for Your Cruise sometime make so confused, thanks for you article. A boatload (heheheee) of great information . Thanks! Another job well done! You put a lot of time and effort into your lens, offering some great tips and personal insight! Look forward to more! When my family of 6 recently went on a cruise, we found it less expensive to book 3 inside cabins than a family cabin. Plus having 3 bathrooms was great! @top101: That's exactly why, for most people, it's not a problem to book a small inside cabin - because it's all about the ship and the experience. I've only been on one cruise and it was to Alaska. I don't really remember the room, I was too busy wandering and exploring the ship. Helpful hints - thank you very much. It's been years since I've been on a cruise and I miss it. The next time I go I will heed your wonderful advice! I figured those economy cabins were small, but I didn't think they were that small. @flipflopju: Ohhh - he will be so surprised! 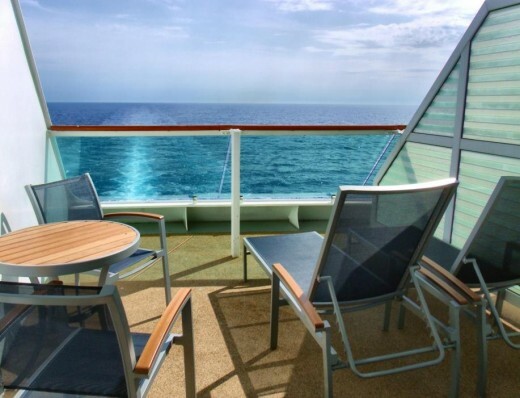 Be aware, though, once you have spoiled yourself with a balcony, you won't want to go down to an oceanview or an inside cabin on your next cruise! I'm taking my first cruise soon. My husband thinks we're getting an interior room but I've secretly booked a balcony. I can't wait! I know so much now! I've never taken a cruise, but I definitely want to. Now I feel educated to make good decision. Thanks! 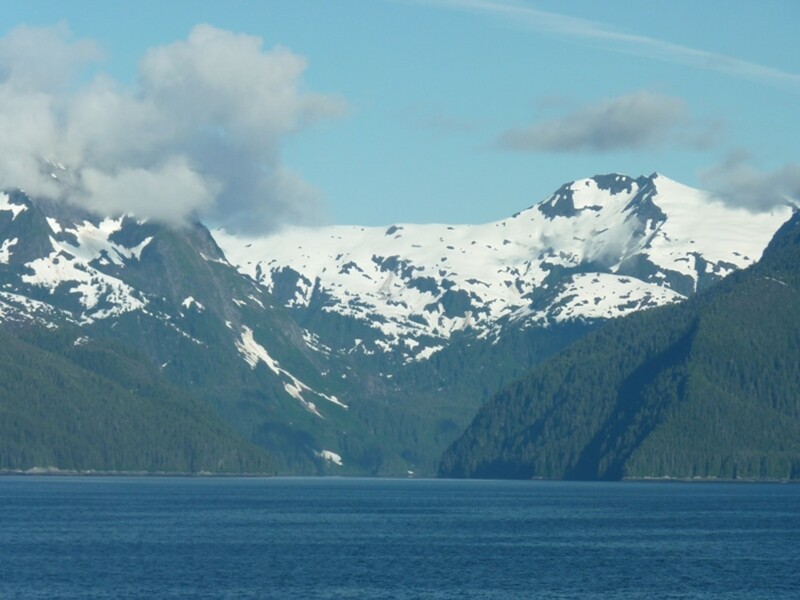 We sailed the Princess line to Alaska in a balcony stateroom. The scenery was magnificent and we enjoyed the balcony tremendously. We breakfasted there every morning, and had a nightcap there in the evening. This is really a helpful lens, as we are considering another cruise. Thanks for sharing your knowledge. Blessed by a SquidAngel. The best probably is where i am comfortable even if its low class or not as long as im within the best cruise lines. I think a single bed is enough to be in my cabin as long as i'm riding in the best cruise lines ever. Anyway thanks for the reading and for the tips it was the best. I enjoyed the way you incorporated quizzes into this very informative article about picking the best cabin. I'm ready to go now! What a great lens. So much good information. I'm going to learn a lot from your lens ability. It makes my 'cruise free' lens pale in comparison. Thanks though for stopping by. I'm going to feature you---this is great. Thanks for these tips. I am going on a cruise in three weeks and have a balcony room. Very nice lens! Looking forward to going a cruise now. What in incredibly informative lens! I have been wanting to go on a cruise for the past year and this DEFINITELY cemented my desire. I know where to go for advice when I do. Thanks! Great tips and lens. I never had a balcony. That sounds like fun. Lots of good tips and information for anyone wanting to cruise. You clearly know and enjoy your niche. I'm spoiled. My parents got a cabin with verandah for our very first cruise when I was 20 something. I'm never going back! Unfortunately, that Owner's Suite on Empress of the Seas might have spoiled me further. I'm with you - I love to be on the balcony when coming into port and at sunset! I am constantly dumbfounded that people will not only trap themselves on a ship for weeks so they can be gouged at the overpriced bars, but PAY for it, too. This is a very informative lens, well done. Thank you for sharing this interesting information. 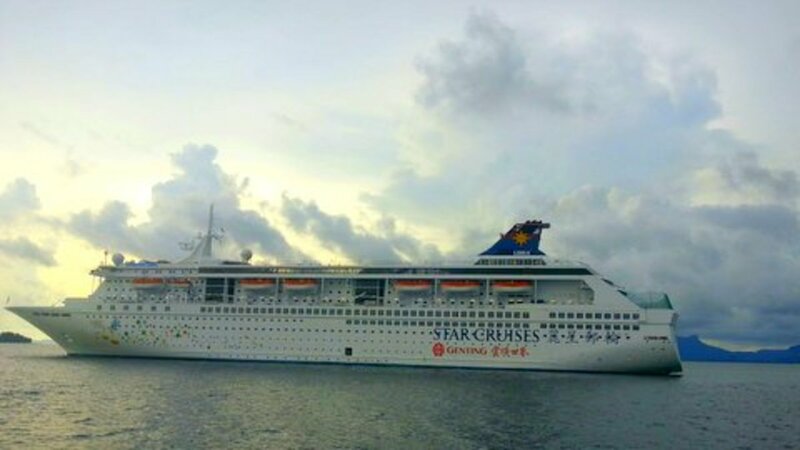 @Gayle Mclaughlin: I Learn something new every time I cruise! Great information you've shared here. Fantastic resource for would-be cruisers. seriously this lens is very informative. learn a lot just about rooms for cruise. I have been on three cruises so I am not exactly a novice, but I learned several things! Thanks for this great article. Fantastic advice! You can be certain I'll visit here again if and when I ever go on a cruise! @anonymous: Sigh, some people should not be allowed to leave their homes. Too much of a danger to themselves and others. Never been on a cruise, but it's on my bucket list. @anonymous: LOL. Must have been a first timer! I'll never forget the argument I overheard between a Purser and a passenger while aboard the Celebrity Century in the Baltic: the passenger was very upset that he had booked an "ocean view" cabin but instead his cabin had a view of the passenger terminal (we hadn't left port yet). You are convincing me to go on a cruise!! Great lens! Very informative - great lens! This is an excellent source of information about cruise accommodations. Thank you for sharing. @AlleyCatLane: Whoops! How did my comments get on here twice? Anway, I see you have already received LOTD for this. Congrats! Terrific lens. I am nominating it for LOTD. Went on my first cruise in April. Loved it, and have already booked one for next year. We had the balcony room on a Carnival ship. It was great. I would choose a cabin close to the exit doors. What a great lens. Very useful info if you are considering a cruise. Despite the fact I aced the quiz I am not a cruise type... Maybe later, when I have more spare time. Well, any spare time... But I enjoy reading about cruises and certainly enjoyed this lens:) Thanks!